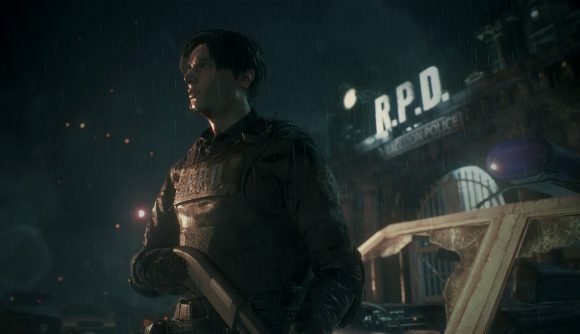 The Resident Evil 2 demo launched just over a week ago, and it’s largely been a hit even with that time limit fans have been looking to mod out. Capcom’s put out total player numbers for the demo, and the publisher reports well over two million players hopping in – though it seems the vast majority of them were either too spooked or too slow to make it through. 2,410,765 people have played the special demo, according to Capcom. This covers all platforms, though it only counts folks who’ve opted in to the RE Net tracking features. That means all those players have to have at least launched the demo. You can fudge that total in either direction, depending on whether players downloaded and played the demo on multiple accounts to get around the time limit, or they opted out of that tracking feature. It’s a heck of a stat either way, though the completion rate is far less impressive. Only 26% of players have actually finished the demo, meaning that the 30 minute time limit was just too tough to overcome – or that they got to that part with the ripped-open mouth and couldn’t take the spooks anymore. GitHyp brought attention to the demo’s Steam player count earlier this month. Concurrent players were more than double compared to the teaser for Resident Evil 7, though admittedly that was a much different thing than the more typical demo for RE2. If you’re one of the 74%, you can get a quick spoiler in the video below – it’s the trailer that’s supposed to play when you complete the demo. We took a look at Resident Evil 2’s realism with the help of a cop and a paramedic, and it makes for a fine bit of reading as we count down these last few days heading into the remake’s proper release.